Inspired by the wildly flavorful cuisine of the Bayou, this Louisiana-Style shake has all the right herbs and spices, along with that traditional cayenne pepper kick. Its sassy spice gives your seafood, sausage, and chicken dishes a generous helping of the Cajun spices you crave, and gives every meal lagniappe. 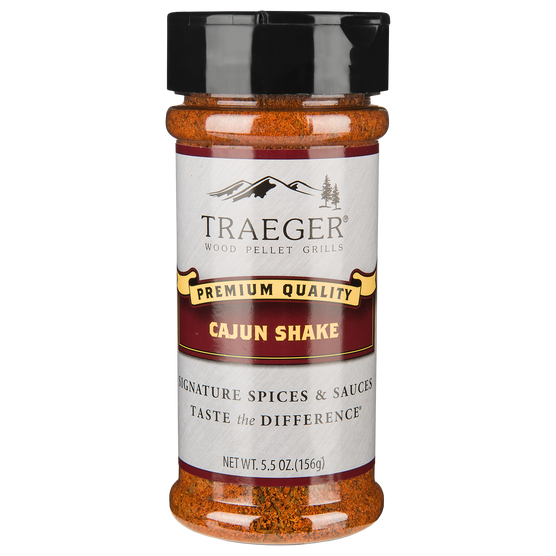 Packed with flavor that you usually only find down in Louisiana, Traeger Cajun shake is a recreation of that zest and it will help make delicious food Bayou.